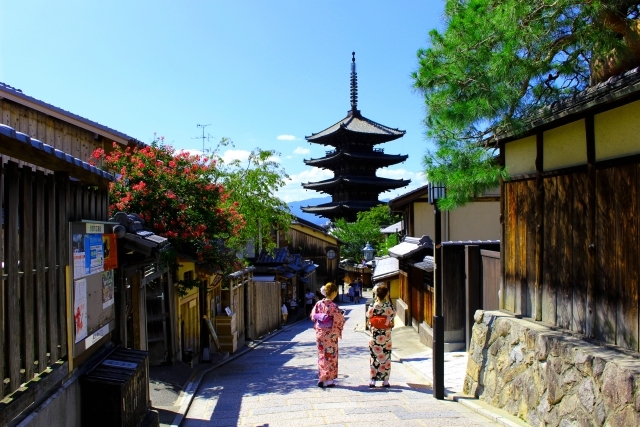 One of your “To Dos” in Kyoto must be wearing kimono and stroll around the traditional town of Kyoto. You would actually see many tourists walking around in Kyoto wearing Kimono, and you might have notice that some rented kimono look slightly “off” compared to the ones worn by maiko or geiko. The key of high quality kimono is in its material. Most of the kimono rental places targeting tourists unfortunately offer only polyester kimono. They are smooth to wear, easy to handle, and convenient for cleaning. However, some of them may end up looking cheap as well. Since you are in Kyoto, I would love for you to experience the real kimono, which are usually made of silk. This time, I will introduce you to top 5 high quality kimono rental places where you will get to wear the real kimono. 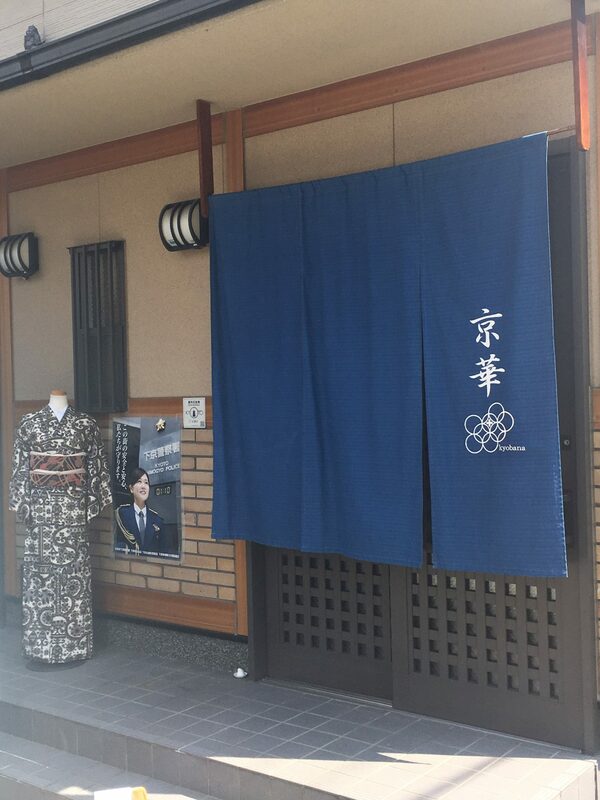 Kyo Temari is a kimono rental shop whose wish is for customers to experience the real kimono. They have various designs of 100% silk kimono, quality of which will shine through your photos. They can introduce you to a photographer if you would want a professional photographer capture your moments. The shop has professionally trained staff who can help you wear kimono so that you will be comfortable. All of their kimonos are special; there are no duplicated designs in this store. 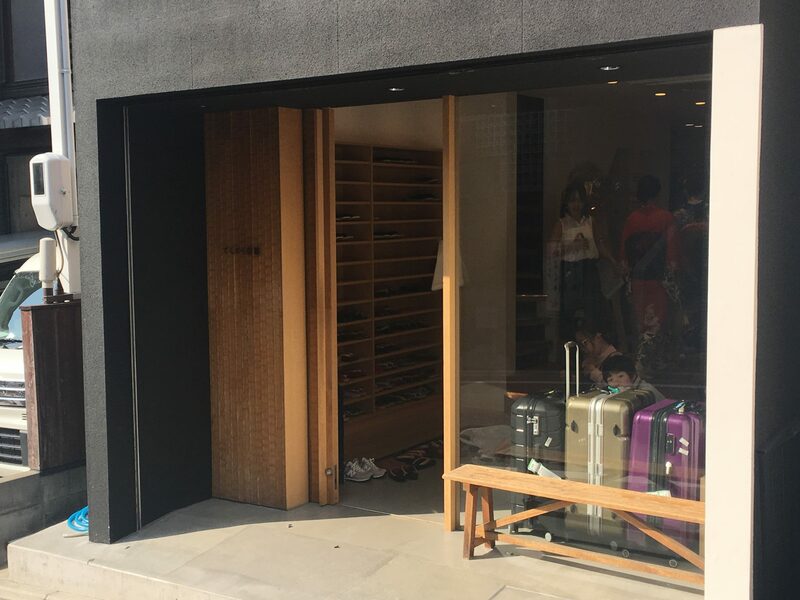 Despite their quality kimono and services, their one day rental plan is only ¥5,000, which includes rental of accessories such as obi, umbrella, etc. You can pick what you want to wear from over 300 kinds o kimonos. 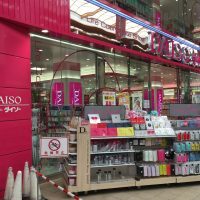 The store is located within 3 minutes’ walking distance from Hankyu Kawaramachi Station. 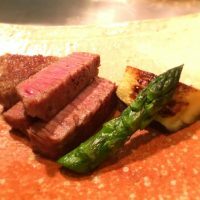 Others:It is recommended to make a reservation in advance. Kyobana also rents out real silk kimonos. 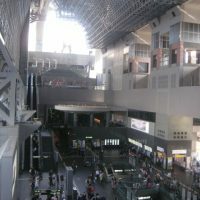 The store is conveniently located near Kyoto Station. 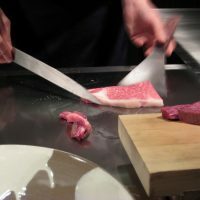 Their rental price is now at ¥5,000, discounted from their regular price of ¥7,000. It is a small store that will take only 2 couples of customers per hour. 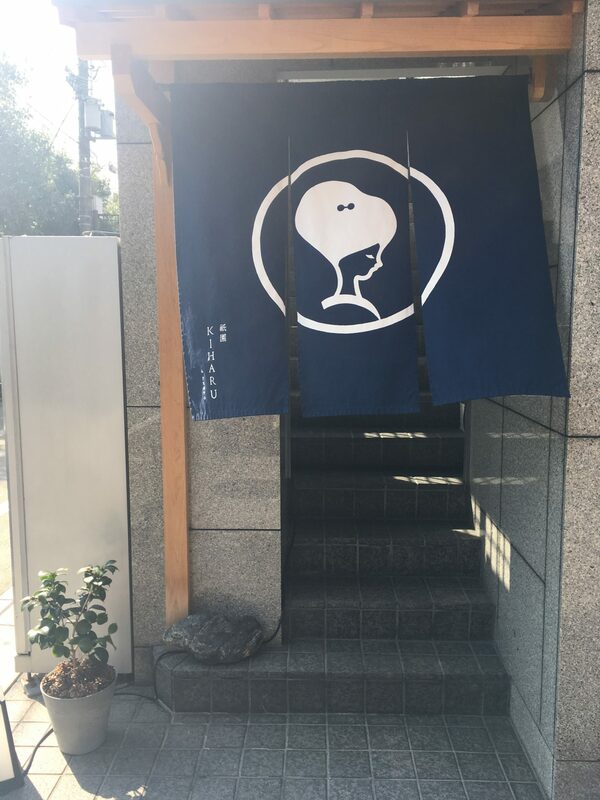 They can satisfy your needs, whether picking your kimono or consult on the strolling route that would be easy even with kimono. 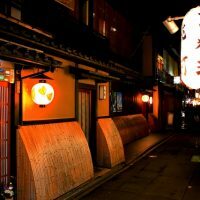 The unique plan of Kyobana allows you to rent the kimono until 10pm. So if you want to go out to the illuminated temples, shrines in kimono, this is the place for you. During summer, you can also rent yukata (summer kimono) for ¥3,000 to ¥3,500. 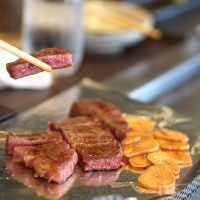 Kyobana is located 3 minutes from Gojo station on Karasuma subway line. I couldn’t find the website in English. Do you want to rent your kimono from a place where the Japanese locals rent for formal parties and events such as tea ceremonies? Then this is a place for you. Walin offers various kimono, including silk, polyester, fitting to any scene you may have. Their rental package for silk kimono starts from ¥12,000 to ¥30,000 depending on the type of kimono you will choose. For a polyester kimono, it is around ¥6,000. Their professional staff can help you pick the most fitting kimono for you. The rental price includes all accessories you need, including specialized underwear for kimono, etc. The greatest part of Walin’s rental is that they have various options for returning the rented kimono. 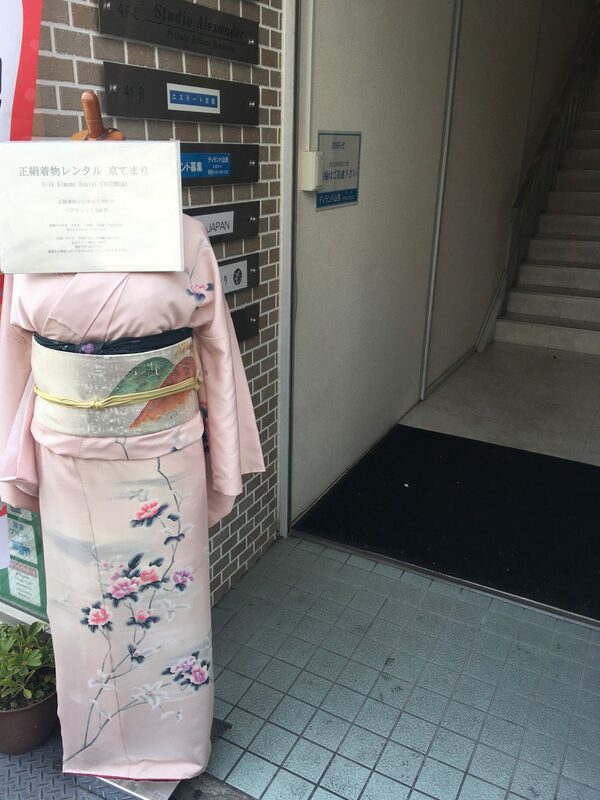 You can either go back by 5:30pm before they close to get assisted, or return your kimono set the following day by 13:00 without any extra charge, which will be great for those wanting to enjoy events at night such as summer festivals. With extra fees, you can also leave your kimono at the front desk of your hotel, which will be perfect for those with limited time. 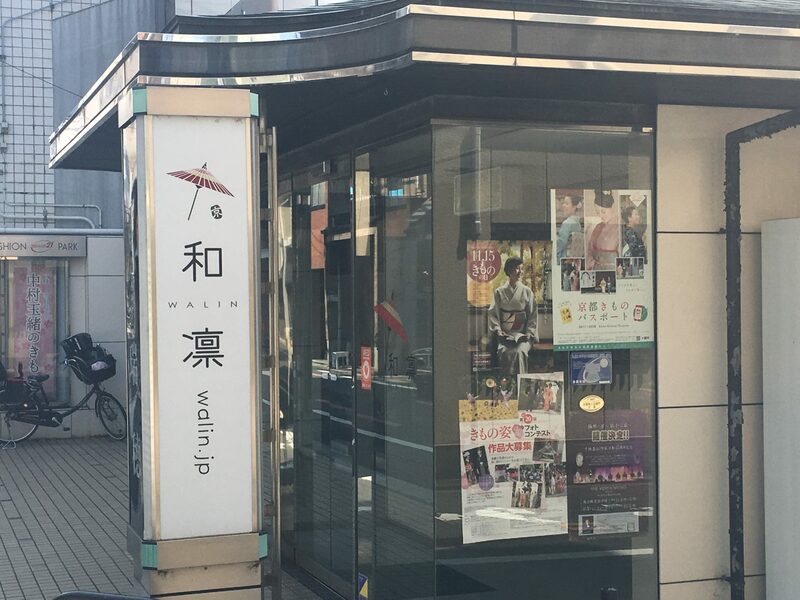 Walin is located around 5 minutes away from Shijo station or Gojo Station on Karasuma Subway line. Next,let’s go to the kimono rental shop in Gion! Located in the romantic geisha district of Gion, Kiharu offers rental of elegant kimono for various scenes. The rental plan ranges between ¥5,300 – ¥16,200 and will depend on the types of kimono you will choose, all of which will be accompanied with one souvenir photo card. They also have an affordable couple plan for ¥13,400. The shop also rents for the prenup photo-shoots of the Japanese wedding. It might be once in a lifetime experience for you to try out the Japanese wedding prenup photo-shoot for the one of the most gorgeous kimonos you will see. One of their unique characteristics is that they have an in house professional photographer, who can take professional photos with the additional fees. The store and studio looks almost like a café, so you will sure to have a relaxing time at their store. 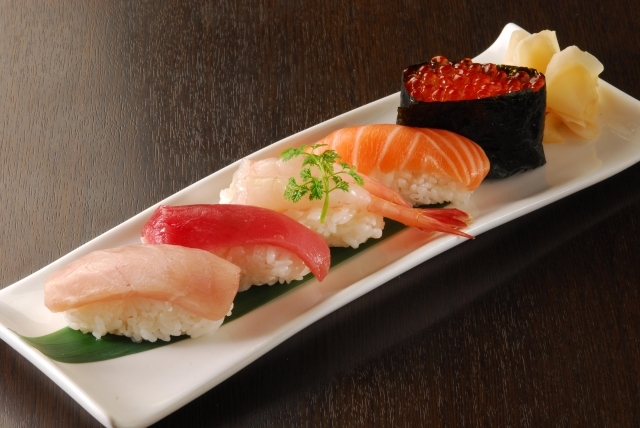 Their store is located within a 3 minutes’ waling distance from Gion-shijo station on Keihan line. Tekuteku is a small kimono rental shop that has two branches located in convenient areas for your touring: one in Shijo and another one near Kiyomizu temple. They specialize with antique or retro looking kimonos, usually offering around 200-300 retro looking patterns to choose from. These designs are difficult to come by in the rental kimono shop. 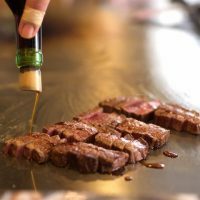 The rental package starts at ¥4,980. 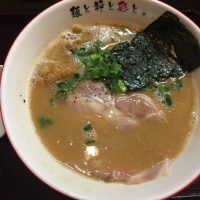 Their Shijo location is one minute away from Shijo station exiting from #5 of Karasuma Subway Line, or around along Kiyomizu michi. Kiyomizu shop might be perfect if you want to stroll Kiyomizu area in kimono. Kyo Temari・・・They have various designs of 100% silk kimono, quality of which will shine through your photos. Kyobana・・・They can satisfy your needs, whether picking your kimono or consult on the strolling route that would be easy even with kimono. Warin・・・Walin offers various kimono, including silk, polyester, fitting to any scene you may have. Gion Kiharu・・・Located in the romantic geisha district of Gion, Kiharu offers rental of elegant kimono for various scenes. Tekuteku Kyoto・・・They specialize with antique or retro looking kimonos, usually offering around 200-300 retro looking patterns to choose from. I hope you’ll experience the real Kimono in Kyoto! 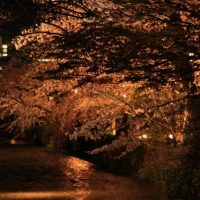 Local Guide:Higashiyama Hanatouro in Kyoto 2017!Must-see Temples and Events! 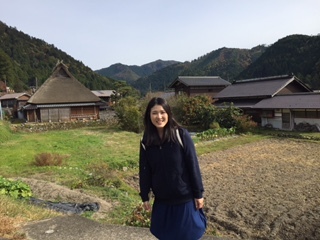 Local Guide:Hozugawa River Cruise Review!Enjoy seasonal beauty of Arashiyama Local Guide:Arashiyama Monkey Park in Kyoto!The best place to see monkeys Local Guide:5 Things to Do in Kyoto in Spring! Enjoy the beautiful season in Japan Local tells Top 5 Samurai Experience Places in Kyoto! 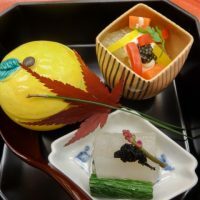 Local tells 5 Things to Do in Kyoto in Winter!Enjoy the magical season ! Local tells Top 7 Moss Temples and Moss Gardens in Kyoto! 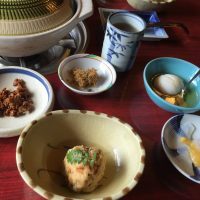 Local tells Top 10 best Onsens in Kyoto!Make a day trip to Hot springs!